The water sector contains so many fields that sometimes it can be difficult to know exactly how to fit yourself in. Use these resources to help guide your career direction. Water@Work Complete Career Guide - WRC's guide to the many options available to anyone looking for a career path in the fascinating world of water. e-WISA Career Path Database - Search through this database to understand the types of careers available in the water sector and what is required for you to pursue them and thrive! Career Help - Department of Higher Education and Trainings dedicated career services website. The images below are extracts from the WRC's Water@Work Complete Career Guide for the water sector. Download the full document to learn more about these careers, what they require, and how to thrive! Do you know that your municipality will deliver water to your home for less than 1 cent a litre? What is required for this to happen? When it rains, water flows down the streams and rivers in the Water Catchment. Water also seeps into the ground and becomes ground water. A HYDROLOGIST looks for a water source that comes from a river catchment. A GEO-HYDROLOGIST looks for a water source that comes from underground. An AQUATIC SCIENTIST investigates the natural habitat and the river system. A PLANNING ENGINEER will design a water scheme to bring the water to your community. construct a Dam that holds the water from year to year. construct the pipelines and the pump-stations to bring the water to your town. construct the water treatment works and all the pipelines that bring the water to your home. A MECHANICAL ENGINEER will design and build all the mechanical equipment required at the pump-stations and the purification works. An ELECTRICAL ENGINEER will design and build all the electrical equipment required. The WATER TREATMENT WORKS MANAGER ensures that the water is purified to comply with the Drinking Water Standards. The PROCESS CONTROLLERS manage and operate all the mechanical and electrical equipment which purifies the water. The ANALYTICAL CHEMIST ensures that the purification process is working well and that the water that is supplied to the community is safe to drink. The FITTERS AND TURNERS ensure that all the maintenance is done to the plant and machinery. ACCOUNTANTS who manage all the water accounts and ensure that there is money to pay all the employees and to buy all the equipment needed. LAWYERS who ensure that there are laws in place and they are complied with. ADMINISTRATIVE STAFF who will send out the accounts and ensure that all the needs of the staff are met – including transport, purchasing of equipment and personnel matters. ​And ALL this happens to bring WATER to your home at less than 1 cent a litre. What do we do with the water that we buy? What happens when it does not rain? Then you can work in the field of Water Supply and help to ensure that your community has safe water to drink! 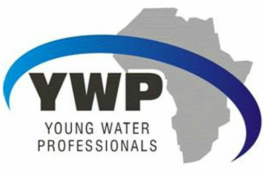 The above description of Careers in Water Supply is courtesy of WISA, WC.